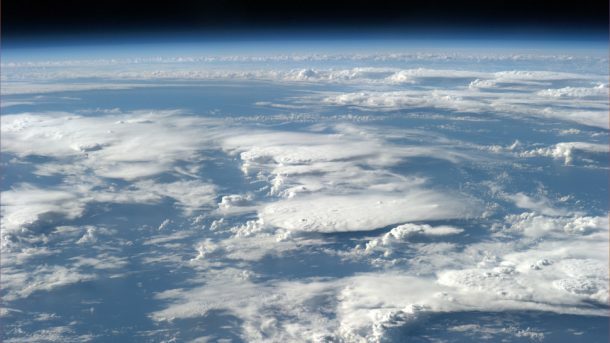 Earth Overshoot Day was celebrated on 8 August 2016 this year. The use of the word celebrated is quite ironic because this is not a day to be happy about. Earth Overshoot Day 2016 marks the date beyond which the humans have used as much from nature in one year as our planet can renew naturally. Although, for most of us, nothing will apparently change in the coming days, but in the larger perspective, we are overburdening the Mother Earth and the future generations might be deprived of even the basic natural resources. By August 8, we’ve already eaten up our annual supply of Earth’s renewable resources with a whopping 145 days still left in the year. The Earth Overshoot Day is a big, flashy red light warning of the trouble ahead; and this year, the warning is flashing five days earlier than it did in the previous year (on August 13, 2015). In 2014 it came eleven days earlier, i.e. on August 19. The first Earth Overshoot Day was observed on December 19, 1987. The dates give you an idea of how fast we are depleting the resources of the world. The concept of Earth Overshoot Day was devised by Global Footprint Network, which is an international think tank that coordinates research and works towards developing methodological standards. It also helps the decision-makers with various tools to enhance the functioning of the human economy while thriving within Earth’s ecological limits. To determine the date of Earth Overshoot Day each year, Global Footprint Network calculates how long can the Earth’s biocapacity provide for the humans every year. The number of days is basically the Ecological Footprint of the entire humanity. The dates beyond are called the global overshoot days. Stuart Pimm, Doris Duke Professor of Conservation Ecology at the Duke University’s Nicholas School of the Environment said that the arrival of the Overshoot Day marks the day we have officially spent our natural resources. The day also reminds us of the stark reality that we have exhausted all the interest in the planet’s ecological bank account and are now dipping into our capital. We are essentially depleting our planet’s resources, so year after year there is less for us to use. Less clean water, smaller forest to land ratio, fewer fish in the ocean, and less productive land. This translates into the sorry reality that we are using more ecological resources than nature can regenerate through overfishing, overharvesting forests, and emitting higher volumes of carbon dioxide into the atmosphere than the forests can sequester. To put human being’s ever-increasing appetite into some measurable perspective, we require 1.6 Earths to meet global demand for renewable resources. 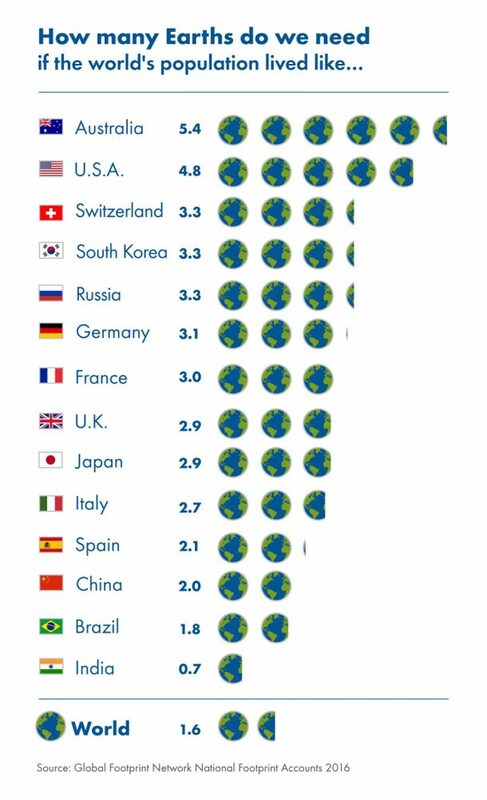 Breaking it down country wise, we would require 4.4 more Earths if the world population lived as the Australians do, and 3.8 more Earths if we all lived like the Americans. 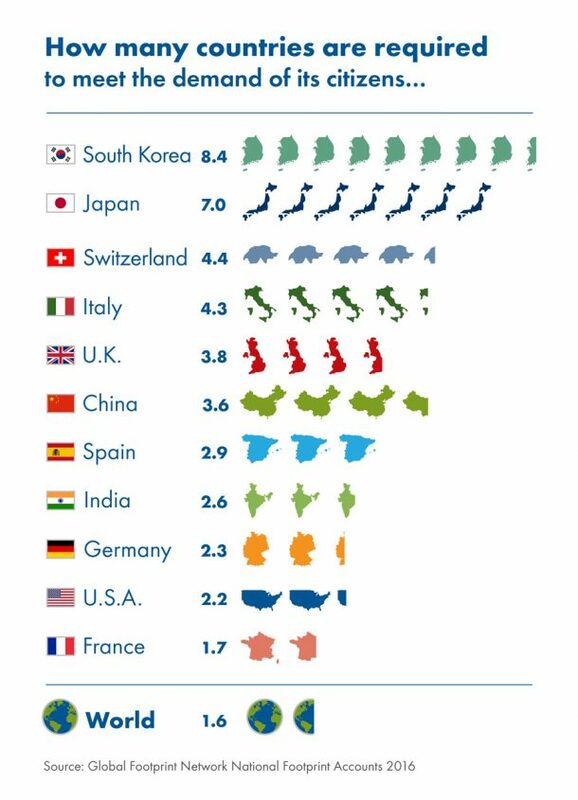 GFN says that the carbon emissions around the globe are the fastest growing contributor towards ecological overshoot. To stick to the goals set by the Paris climate agreement 2015, we need to adapt the sustainable way of life. The good news is that overall benefits of the lifestyle change exceed its costs. Making such a shift will indeed give an impetus to emerging sectors like renewable energy, and will also reduce risks and costs associated with the climate change. The only obstacle is the lack of a collective political will. With that out on the table, the organisation states that some countries are already rising to the challenge. From Costa Rica generating 97 percent of its electricity from renewable sources to the UK, Germany, and Portugal setting new records for renewable technology usage, the political awareness and resolve to reverse, or at least control, the fast depletion of earth’s natural resources is growing. Here is a video on the Earth Overshoot Day and its economic, social, climatic and physical implications on the globe and the beings living in it. Have anything else to add to this article? Share with us in the comment’s section below!